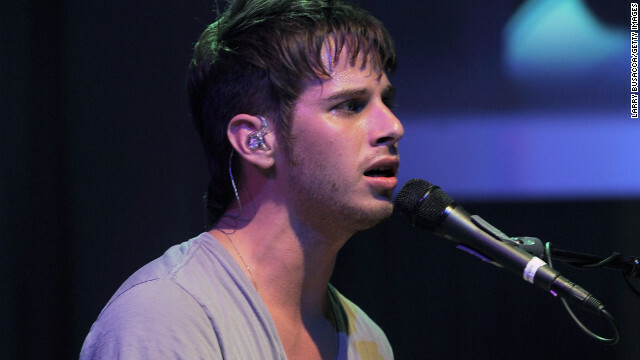 In the wake of the Sandy Hook shooting, many radio stations have pulled Foster the People’s 2011 hit single “Pumped Up Kicks,” in which frontman Mark Foster sings about a school shooting. In a 2011 interview, Cubbie Fink, who plays bass in the band, told CNN that “the whole youth violence thing hit pretty close to me” because his cousin was present during the Columbine shooting in 1999. Why is this not the fault of the gun companies that design, and make the high capacity guns? No one ever blames them. They blame movies, songs, games, bad parents, bullies, the weather, the climate, but they never blame the one damn thing all these murders have in common. The gun! It would be a lot harder to take out so many if they had a bow and arrow. So the guns with clips are a lot to blame for this. The designers of them are solely to blame. Its like SkyLab and the Terminator. Yes, you can build it, you have found a way, but lets stop and think, WHY build one? Why do we need guns with 100 round clips? WE don't! BLAME the people that make the damn things. I'm sorry, but you're wrong. No matter what, the bad guys will get a way to get a gun (black market), and the shootings will continue. What the civilians need is immediate protection, and that is why guns come in handy. If we have smaller magazines (clips), the bad guys won't. They will still use 30 round magazines and we will be outgunned. I see your point, but see it from another view. What I don't get is 20- and 30- somethings writing songs about being in high school. These guys are 35 years old and writng about how their girlfriend dumped them to go out with the guy who has more pokemons. They contribute nothing and will be less than a footnote in history. but hey, it's still all right to play songs about puttin' caps in rival gang members heads, selling drugs, and pimpin' hoes? When the Columbine shootings happened, NPR played "I Don't Like Mondays" as the intro to their coverage. It is about the shooting spree of 16-year-old Brenda Ann Spencer, who fired at children in a school playground at Grover Cleveland Elementary School in San Diego, California on 29 January 1979. And the lesson today is how to die." you have to play the white album backwards..
there is a rumor you can play the white album from the beatles and its says "paul is dead" "paul is dead"
I want to remind everyone that Foster the People didn't release the single on purpose, a web site started to play it and it became popular. Foster the People embraced the acceptance, and then it was played by radios all over. I agree that the song should not be played anymore, but I would like to see less violence in video games too and of course less assault guns in the homes of people. While the words in the song did not cause a shooting they are totally insensitive at this time. People who can not see that are immature at best. Even the band understands why this songs lyrics are not something to be posting on things like Facebook and Twitter. Lyrics like run, run from a shooter do not belong on the radio the day after a mass shooting. Sometimes is it nice to think of bigger things not how passionate someone is about a bands song lyrics. Pumped Up Kicks just came on my pandora station as I was reading this article. I always thought the song was about children playing coybows and indians or something, pretending to shoot each other with their fingers. I'm surprised that God-awful light-weight pop song didn't cause a shooting. It's horrible. That kid's mom wasn't "innocent". She neglected to get him proper care for his conditions, & she made guns accessable to a mentally unstable person who shouldnt have had them anywhere near him. He had asperger's, that's far far far away from being mentally unstable. Asperger's may have nothing to do with it but he was still obviously mentally unstable. A mentally stable person doesn't kill 27 others and then themself. Hell they don't kill anyone usually. His mother may not have gotten him the help he needed. However, from what i've read, she was going to get help for him and he didn't want it. That may have been part of his motive. Perhaps over time we will have answers but we may never know as well. At the very least his mother is guilty of poor judgement (if not neglect) for not getting him help quickly enough and for leaving the weapons where he could get to them. A crime worthy of a death of a death penalty? Not even close in my opinion. But that's what he gave her and all the other victims. Crimes that he alone is ultimately responsible for. Not his mother and certainly not anyone in the gun lobby. No one will ever know the real answer. Perhaps she told him "we are going to get you help" , and he snapped. In the eyes of the law, the mother is innocent. That's all that matter when you go buy the gun. You may disagree with her handling of her kid, or her love of guns, but nothing illegal. She's just like countless others, and you should know that this is probably going to happen again. There is only so much help a parent can get for their adult children. That's part of our problem. THAT SAID, she also allowed him unfettered access to her weapons. Did she "deserve" the death penalty? Maybe not. Nobody deserves to die in a car accident either but that's exactly what can happen if you drive like a maniac. And those children sure as hades did not deserve what they got, nor did their parents, and she was in total control of her guns, the killed/ grieving had/have none. Not everyone who has aspergers is like that though, with or without help, something else could have been going on as well. Generalizing a whole group of people for one persons actions is not a good thing to do. Much classier in handling their song being pulled than Kesha. Interesting how he attributed the song to teen mental illness, not gun control. I give him credit for being an advocate of gun control & not jumping on the bandwagon with the crazies that want to totally disarm innocent civilians. That kid's mom was an innocent civilian .... and yet she was killed by her own guns. Then again logic has no place in your reasoning. You forgot one thing though. Pumped up kicks is a terrible song. Reblogged this on And now they call us monsters.